fresh stars. new beginnings. forward motion. ideas. dreams. goals. visions. what is NOT to love about a NEW year? already SO much is going on, a lot of amazing things to look forward to. big things. small things. simple things. the joy of creating. that is what this project was for me. a place to celebrate, plan, dream, visualize and bring to LIFE all that i am hoping and praying for. all that i am wanting to manifest and create into my reality. this is it's little home. i love it. 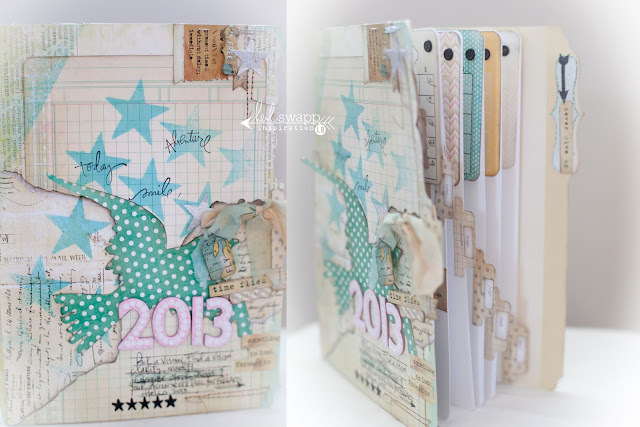 i created my vision journal for 2013 using a lot of the incredible heidi swapp vintage chic collection. i am obsessed. 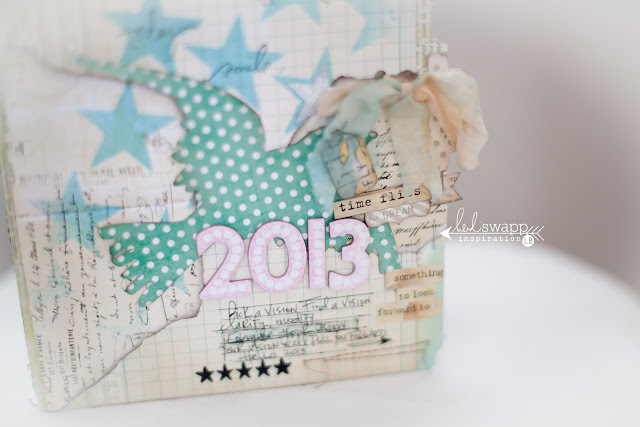 it is SO beautiful, extremely versatile and creates such pretty stuff when it all comes together. all of the details on how this beauty came to be can be found here. definitely check it out and hopefully it inspires you to bring alive some of your dreams, goals and visions for YOU in 2013.
i am really looking forward to documenting and celebrating 2013. my intention is to fill this journal with doodles, photos, gratitude, stamps, ideas, wishes...pretty much a place where ANYTHING goes. NO rules, just creativity in it's most open form. a place to re-energize my heart and mind. a place to remind me what this is ALL about...and of course, make pretty stuff! Lindsay, This is so amazing!!!!! I love it!!! 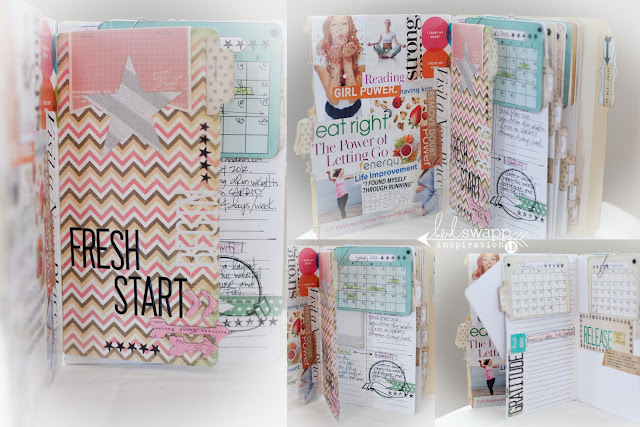 i wish i could sit down and create like this beautiful project! Well, done girlfriend!!! Beautiful, happy, fun. I want one! What a lovely precious project Lindsay.